The best funds for a 401k plan will look the same whether you are an employee participating in the plan, or an employer wanting to be sure you are sponsoring a 401k plan that will offer the best options for your company. 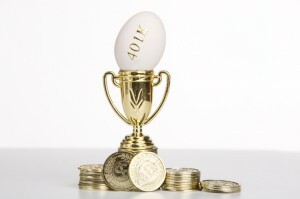 First, because 401k plans are designed for retirement savings, you want a diverse mix of about eight to 10 mutual funds that are suitable for long-term investing. Any less than that, and you’ll lack a necessary diversity in categories; any more, and you’ll likely create overlap or choice overload. Next, you want low-cost, no-load funds with good performance records compared to each fund’s respective category peers. Yes, past performance is no guarantee of future results … but if you’ve got some of the best funds that are cheap and well-managed, you’ve got a good shot at outperforming the averages in the long run. Finally, it’s a good idea to avoid exotic or alternative funds, such as those that invest in commodities or futures contracts, which carry market risks that can be difficult to understand. With that backdrop, we’re going to look at 10 of the best funds (across several categories) for your 401k plan. And since we’re realists, we know most 401k funds won’t have every one of these funds, so we have a few alternative suggestions as well. Large-cap index funds make outstanding core holdings for building a diversified portfolio, and Vanguard 500 Index (VFINX) is the cream of the crop in this category. The reason why index funds are great core holdings is because in many categories, it’s difficult for even the most skilled managers of actively managed funds to have any real advantage — and this is especially true for large-cap stocks. That’s in part because of higher expenses relative to most index funds in the space, but also because large-cap stocks are more efficiently priced than stocks of smaller capitalization. Vanguard 500 Index, as the name implies, is simply an S&P 500 tracker that gives you exposure to the 500 companies — like Apple Inc. (AAPL) and Exxon Mobil Corporation (XOM) — in that index. Vanguard Total Stock Market Index (VTSMX): Cheap at 0.17% in fees. Fidelity Spartan 500 Index (FUSEX): One of the cheapest index funds on the planet at 0.095%. If you prefer to build your 401k portfolio around an actively managed large-cap fund, as an alternative to an index fund, one of the best funds to get the job done is Fidelity Contrafund (FCNTX). FCNTX has a rare one-two combination of below-average expenses and an above-average portfolio manager. Will Danoff has been at the helm of FCNTX for more than 25 years and has consistently outperformed his category of large growth during his tenure. Like all of the best mutual fund managers, Danoff has fallen behind the averages in isolated cases, but he has produced top-notch long-term returns, which is what you want in a 401k plan. The 15-year annualized return of 8%, which outperforms 99% of large growth funds, is the perfect testament to the long-term value of Danoff and FCNTX. Top holdings include Facebook Inc (FB) and Wells Fargo & Co (WFC). American Funds Growth Fund of America R-6 (RGAGX): Charges 0.33%. American Funds Investment Company of America R-6 (RICGX): Charges 0.3%. Note: American Funds R-shares have no loads, and R-6 shares have the lowest expenses. If you had your choice of mid-cap funds in a 401k plan — or any other account type — you’d be smart to have Vanguard Mid Cap Index (VIMSX) as your top choice. In fact, I have gone as far as naming VIMSX the one best mutual fund to hold forever because of its low-cost, high return combination that is rare in the mutual fund universe. You’d be hard-pressed to find a mid-cap stock fund with an expense ratio lower than 0.2%, unless it was the Admiral share class of VIMSX. The low expenses and the aggressive edge combine for category busting long-term performance. The 8.2% 15-year annualized return for VIMSX beats nearly 90% of mid-cap blend stock funds, and it crushes the S&P 500’s 5.1% return for the same period. T. Rowe Price Mid Growth (RPMGX): Charges 0.77%, returns that rival those of VIMSX. Janus Enterprise T (JAENX): Charges 0.92%. Consider yourself fortunate if your 401k plan has a well-managed stock fund like T. Rowe Price QM US Small Cap Growth (PRDSX) on the menu. Finding an outstanding small-cap stock fund that’s not closed to new investors is no easy task, but PRDSX is an exception here. Since 2006, fund manager Sudhir Nanda has done an exceptional job at the helm of PRDSX. The one-, three-, five- and 10-year annualized returns beat at least 80% of small-cap growth category peers. An expense ratio of just 0.82% is a bargain for (and an important function of) such a high-quality small-cap stock fund. Returning to the point of closed funds, new participants in 401k plans can still contribute to a fund that is closed because the account holder is actually the trust, not the individual. On that note, if you join a 401k plan and it offers outstanding small-cap funds — like the two honorable mentions below — that are currently closed to new investors, you may still be able to buy shares. T. Rowe Price Small Cap Stock (OTCFX): Charges 0.91%. Fidelity Small Cap Discovery (FSCRX): Charges 1.06%. One of the best funds to hold in a 401k plan is a low-cost international stock fund like T. Rowe Price Spectrum International (PSILX). With below average expenses and a track record of above-average returns, PSILX makes an outstanding 401k fund for filling your foreign stock space — and it also makes an odd one. Rather than being directly invested in stocks, PSILX is invested in a number of other T. Rowe Price mutual funds that focus on various areas of the globe, including Africa & Middle East (TRIAX) and European Stock (PRESX). International stock investing in the past few years has been a challenge, to say the least, but fund manager Charles M. Shriver has steered the PSILX portfolio to performance ahead of two-thirds of foreign large blend funds for the three-year annualized return. T. Rowe Price Overseas (TROSX): Another T. Rowe Price fund, focuses on developed markets like the U.K. and Japan. Charges 0.84%. Fidelity Total International Equity (FTIEX): Charges 1.07%. Continuing along the theme of low-cost, high-quality funds to hold in a 401k plan, one of the best funds in the emerging markets category is Fidelity Total Emerging Markets (FTEMX). Emerging markets stock funds carry more market risk, and are therefore more volatile than diversified international stock funds that focus more on companies in developed economies like those in Western Europe. However, a measured allocation to a well-managed emerging markets fund with solid performance record can be a good diversification tool in a 401k plan. Although the fund has only been in existence for a little more than four years, the performance looks strong during a currently harsh period for emerging markets funds. Manager John H. Carlson has been at the helm of FTEMX since the November 2011 inception, and the three-year performance rank places the fund ahead of nearly 90% of emerging markets funds. Vanguard Emerging Markets Index (VEIEX): Charges 0.33%. American Funds New World R-6 (RNWGX): Charges 0.65%. Balanced funds with moderate allocations make outstanding 401k fund choices, and Vanguard Balanced Index (VBINX) is one of the best funds in this category. Many investors have investment assets outside of their 401k plan, so having a solid, set-it-and-forget-it balanced fund like VBINX inside of the 401k is both smart and convenient. As a plus, VBINX is passively managed, and the asset allocation of roughly two-thirds stocks and one-third bonds is an ideal balance for most investors, in terms of risk in relation to return. Speaking of performance, it’s tough to beat a 10-year return of 6.2%, which is better than nearly 90% of other moderate allocation funds and even better than most stock funds during that time frame! The rock-bottom expense ratio of 0.22% caps off the attractive attributes of VBINX. Dodge & Cox Balanced (DODBX): Charges 0.53%. Vanguard Wellesley Income (VWINX): Charges 0.23%. Index funds also work very well in the bond fund category, and Fidelity Spartan US Bond Index (FBIDX) is among the best index funds tackling U.S. debt. Even the best fixed income fund managers get interest rates wrong, which underscores the value of passively investing in a broadly diversified portfolio of bonds with dirt-cheap expenses — as is the case with FBIDX. FBIDX offers a mix of U.S. Treasury, corporate, MBS pass-through and other debt. Vanguard Total Bond Index (VBMFX): Cheaper at 0.16%, but FBIDX’s returns have historically edged out VBMFX. Vanguard Intermediate-Term Investment Grade (VFICX): Charges 0.2%. For a smart alternative, or a good complement, to U.S. bond index funds, consider an outstanding multi-sector bond fund like T. Rowe Price Spectrum Income (RPSIX). Multi-sector bond funds like RPSIX typically hold high-yield and international bonds, along with U.S. Treasuries and U.S. corporate bonds. Like Spectrum International, the “Spectrum” gives away that this is another fund of funds. RSPIX gets its exposure by holding Corporate Income (PRPIX), International Bond (RPIBX) and other funds. The result is a mix that is more diverse, but higher in risk, and that offers the potential for higher returns than a standard bond index fund. For example, the 10-year return for RPSIX is 5.3%, which beats that of 4.8% on the Barclays Aggregate Bond Index. Fidelity Strategic Income (FSICX): Charges 0.71%. Janus Real Return (JURTX): Charges 0.73% after waivers. Vanguard Target Retirement 2035 (VTTHX) is one of the best funds in the longtime staple target-date retirement category. Of course, you don’t necessarily have to be retiring in 2035 to enjoy what Vanguard has to offer. When choosing the best target retirement fund for you, just simply find the fund with the year that closely matches your expected retirement year, or soon thereafter, and allocate 100% of your 401k assets and future contributions to that one fund. For example, if you plan to retire in about 20 years, in 2036, the VTTHX fund would be the best choice for you. As you approach retirement, the asset allocation gradually becomes more conservative. And if you planned to retire sooner, say in 10 years, around 2026, you’d look for a target retirement 2025 fund — for instance, Vanguard Target Retirement 2025 Fund (VTTVX). The 10 Best Index Funds for 2016 … And Beyond! Several fund companies offer target retirement funds, but I like Vanguard because it uses index funds for the underlying holdings, and its asset allocations are a bit more conservative than other similar funds. T. Rowe Price Retirement 2035 (TRRJX): Charges 0.74%. Fidelity Freedom 2035 (FFTHX): Charges 0.75%. As of this writing, Kent Thune did not personally hold a position in any of the aforementioned securities, although he holds VFINX, VTSMX, and VWINX in some client accounts. His No. 1 holding is his privately held investment advisory firm in Hilton Head Island, SC. Under no circumstances does this information represent a recommendation to buy or sell securities. Article printed from InvestorPlace Media, https://investorplace.com/2016/03/10-best-funds-for-your-401k/.